For two geeky best friends who've only experienced carnage via their video games, it's the ultimate late night dare: Ever seen a real dead guy? But when the pair breaks into a creepy local mortuary, they unleash a ferocious ghoul (Michael Ironside of SCANNERS, STARSHIP TROOPERS) who's hungry to share a few depraved urges of his own. Even if these pals-for-life can resist a violent suburban blood-s… pree, is there any peer pressure more horrific than that of the undead? 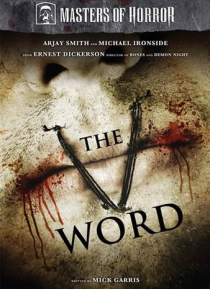 Jodelle Ferland of Silent Hill co-stars in this grisly twist on teenage vampirism written by series creator Mick Garris.